Patrick Osborne definitely likes making animated home movie-like experiences as snapshots in time. The Oscar-winning Disney short, “Feast” (2015), offered a series of eating vignettes in a dog’s life. 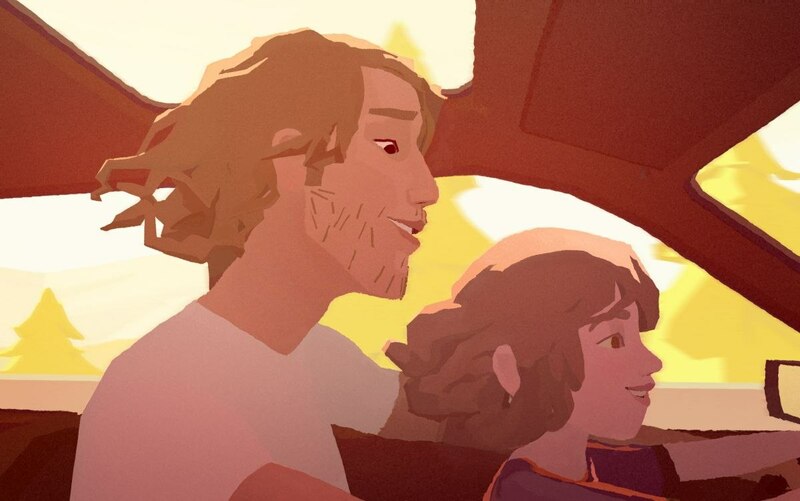 Now he’s competing again with the 2D version of his Google Spotlight Stories VR short, “Pearl,” a musical journey between a father and daughter inside their ’83 Chevy Citation. The latest short from Google’s experimental filmmaking lab Spotlight Stories—which is composed of alums from Pixar and Dreamworks—Pearl is the story of a little girl growing up with a struggling, traveling musician for a father. "I’m glad it works and doesn't feel cheesy," Osborne says. "We’re always riding a little bit of that line in this realm—too sappy or nostalgic—but it works here. I’m happy with it." He’s wrong, of course. Like so many animated shorts packing a lot of emotion into a little time, Pearl is too sappy. And it is too nostalgic. To create the theatrical version, the director watched Pearl in 360-degrees on a mobile phone, effectively serving as a camera operator by recording which direction he wanted the viewer to be looking in a given moment. Says Osborne, “In the VR version, you don’t want the edits to be too fast. But if we let it be that slow in the film version, it was very boring." And so under his direction, additional editing was involved for the cinema version.